Voila une chanson pour ceux qui sont loins de notre chere Tunisie. 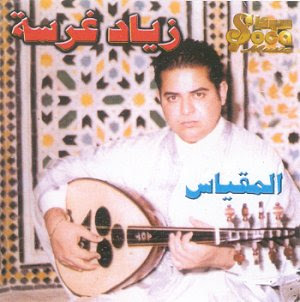 Raoul Journou, un chanteur populaire tunisien d'origine juive qui a emigre en France apres 1967 et qui je crois est decede il n'y a pas longtemps. Il est revenu en Tunisie dans les annees 90 sur invitation officielle du gouvernement. Et pourtant, je n'aime que toi... L'amour est cruel Charles, hein ? Robert Nesta Marley (February 6, 1945 – May 11, 1981) Adept of the Rastafari religion. Well share the same room, yeah! - for jah provide the bread. Well be together, with a roof right over our heads! Well share the same room, yeah! jah provide the bread. George Michael: Jesus To A Child. George Michael wrote this song in memory of his Brazilian partner, Anselmo Feleppa, whom he had met during a performance in Rio de Janeiro in 1991 and who died tragically only two years after. Oh the lover i still miss...was jesus to a child. Voila un auteur, compositeur et chanteur parmi les dinosaures de la chanson française. Une espèce en voie de disparition, dommage!!! Qu'as-tu fait de tes jours ? es-tu riche et comblée ? Tu vis seule à Paris? mais alors ce mariage ? Cette chanson écrite et interprétée par Elton John a eu un premier succès en 1974 et a été ressuscitée en 1991 en Duo avec Georges Michael (#1 au top 100 aux US et UK). Le texte invoque l'ingratitude d'un ami qui après l'avoir aidé se retourne contre toi. Sublime!!! J'ai les larmes aux yeux, chaque fois que je l'ecoute. Produced by Quincy Jones, written by Michael Jackson and Lionel Ritchie, recorded on the night of the American Music Awards, January 28th, 1985 in order to fit in the schedule of all the artists who participated and most of them are just GREAT. This selection represents the 80's music. The song was aimed to raise money for Africa. Bob Dylan, a great song writer and story teller too. This is about Rubin "Hurricane" Carter, a boxer who spent 19 years in jail for a murder he claimed he did not commit. He exchanged mail with Bob Dylan while in prison and convinced Bob to visit him. 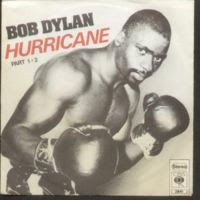 Bob accepeted and heard his story and believed him and wrote this song in protest about his false imprisonment.The same story was the subject of the movie Hurricane starring Denzel Washington. Bob Dylan is still acitve and engaged, his last album (08/2006)"Modern times" put him on the top of the US chart at 65 years old!!! "Think it mighta been that fighter that you saw runnin' that night?" Paul Simon, the same as in Simon and garfunkel, the kings of folk singing. 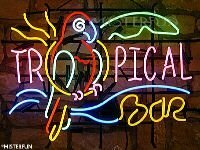 His solo career was very successfull and in this song he mixed the african rythms to his smooth music and nice voice and the result is a pleasure. This song was originally written and performed by an old american country singer Don Gibson in 1957 and was since then performed by many singers including Ray Charles. It was part of Phil Collins 2002 album "Testify"
In the Air Tonight 1981, written by Phil Collins after divorcing his first wife. Genesis a British Rock band formed in 1967. Formed by Peter Gabriel and then led by Phil Collins when the former departed in 1975 to pursue a solo carrier. Phil himself recorded many Solos while with the bands and then left the band in 1996. In addition to his vocals, he was on of the best drummers of his time and acted as a drummer with a lot of celebrities, including Eric Clapton and Tina Turner. That's All, 1983. A song about failing relationships. 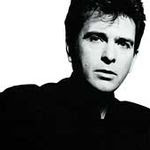 After leaving Genesis (taken over by Phil Collins), Peter Gabriel started a solo career. "Shock The Monkey" is part of his fourth album released in 1982. Clin d'oeil a Temeraire :-)) et a ceux qui ont vécu les 80's en tant qu'adolescents. Une musique sublime, d'un compositeur doué, auteur entre autres de la musique du célèbre, "Le bon, la brute et le truand". This song from the movie with the same name released in 06/84, a movie that was number one that year and so was the single and the album for this song. Considered by many as one of the greatest song of the 80's (not by me though). It also won the Academy Awards of best movie song for 1984. The following video is from a live show in Tokyo,Japan. 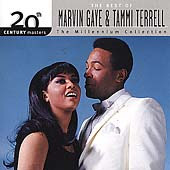 Marvin Gaye-Tammi Terrel: Ain't No Mountain High Enough! There is the 1981 movie by the genious Franco Zeffirelli starring Brooke Shields and Martin Hewitt. 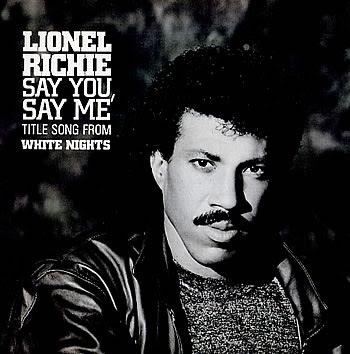 And then there is the song of the movie in Duet between Lionel Richie and Diana Ross. A love story between a 17 old boy and a 15 old girl. I was around 17 at the time, and this movie and specially the song had a special effect on me, with all the tragedy that came with it in the movie. Every time I hear it, I feel like dreaming, I fell happy and sad at the same time. It's hard to explain, it has a lot of history to it and a lot of souvenirs...... Love is great! Sometimes there is a piece of music that you want to listen, just after watching the news, specially the ones depicting injustice, unfair treatment of human beings, or the like. Or even when you feel depressed, not in control, or even when you’re in a love relationships not going anywhere. You are sad and you want to remain that way because you know that there is nothing to get you out of that state. In my case I listen to songs like “Brother in arms” of Dire Straits. My preferred is a this interpretation by Mark Knopfler by himself with the classic band. It is my favorite. The Scorpions:"Rock you like a hurricane"
The scorpions, a band founded by German guitarist Rudolf Shenker, joined by his brother Michael and lead singer Klaus Meine in 1969. One of the first group in heavy metal. I have a love-hate relationship with this German band  but one of the songs that I really like is "Rock you like a hurricane". This video is a live show in Moscow where they performed it with the Moscow symphonic orchestra and it really produced a miracle. I’ll let you watch, listen and judge. I could not stop thinking of our national blogger BTB while watching this :-) So Big Trap Boy, this is for you as a gift for winning the 2007 TN bloggers awards. This is one of the greatest solo and improv of the God. For those of you who play Guitars, notice that he even use his thumb and he plays a normal guitar not one made for leftists, it is reallyu awkward! Pink Floyd: Another brick in the wall. Ah, this song brings me a lot of souvenirs. I was lucky enough in 1988 to be able to see it live in Lyon. It was a blessing, the stage was made by a team from Hollywood!! And the clouds of herb smoke around me was unforgettable :-))) This song is all about control. We dont need no education. All in all its just another brick in the wall. All in all youre just another brick in the wall. Here is another magic band, Pink Floyd. A group known for their far fetched lyrics. Founded in 1965, with the magical Syd Barrett who left the group later, and was reported mentally ill. With him were Roger Waters, David Gilmour, Nick Mason and Rick Right. This classic rock band has the record of the most sold album “The Dark side of the moon” with 741 weeks on the top 200 and 40 millions album sold. The album paints a picture of the world materialism, inhumanity, fast pace of life and armed conflicts, and this was in 1973!!! This is one the Album's song: “Money” written by Roger Waters. Now you want music. This is it ladies and gentelmen!! If you want to be productive at work, this is what you should listen to :-). Of course you should buy the CD or the mp3 version because the video is not that great but it is live from Wembley Stadium... I'll let you appreciate Mark Knopfler and his guitar. And he's up there, what's that ? Hawaiian noises ? This is one of the first song of the group in 1977. It was one of the songs that marked a new era moving away from Disco to the punk era. Mark Knopfler on vocals and lead guitar, David Knopfler on rhythm guitar, John Illsley on bass, and Pick Withers on drums. The song was written by Mark and is about a gorup of jazz performing in South London, in a tiny pub where nobody is paying attention, but they were ignoring the crowd and kept playing their music. One of the guitarist of that group is Georges Borowski (Guitar Georges). An album with the same name as this song was released in 1988 with the best of Dire Sraits. Let's start with the gods of the guitar. Layla is a song written by Eric Clapton and inspired by the Persian classical poet Nizami Ganjavi's "The Story of Layla and Majnun". Clapton identified to the story of Layla and Majnun and dedicated the song to his then wife Patti Boyd Harrisson (ex-wife of Beatles Georges Harrisson).